As Montana is such a large state, the local living is going to vary depending on where you choose to settle in and live. While Montana does have larger cities, they're smaller when you compare them to other large cities in the United States. The locals are friendly, and people seem to know each other no matter where you live. There are the bigger cities, but you also have smaller towns and smaller communities all over the state. 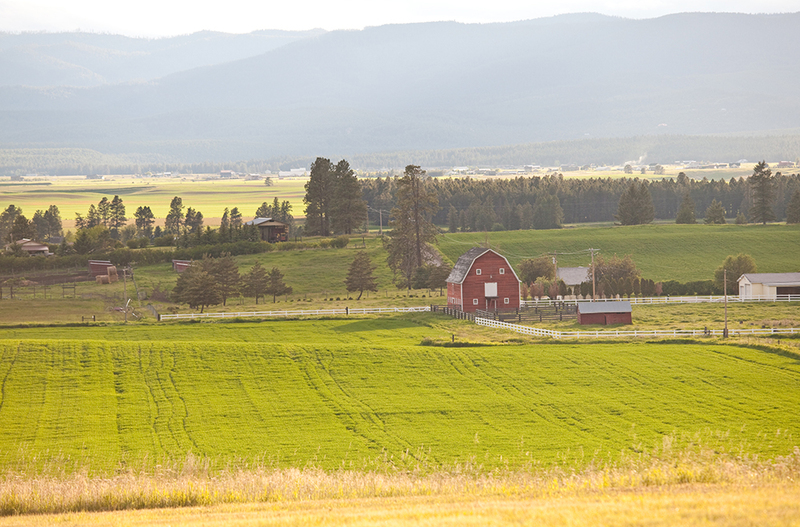 You can also find many rural areas and sprawling ranches all over Montana. This diversity is one of the things that bring people to the state. People move to Montana for the diverse job market, the lower cost living, and the broad range of outdoor recreational activities. The close proximity to several National Parks is also a big draw, as well as the world-class fishing and hiking opportunities. The local economy is very diverse, and there are several jobs available for people. There are also several top-ranked education opportunities all over the state with many colleges, universities, and public school systems. People move out of Montana due to the lower minimum wages as it makes it difficult to afford a comfortable lifestyle. The cost of living may be slightly lower but the cost of housing is above the national average, and this can drive people away. While the cities are large for the state, they're smaller than other states, and this can be another factor that drives people out of the state because they want to experience a more fast-paced lifestyle that comes with the bigger cities in the nation. Outdoor enthusiasts find this state a very attractive place to live. Additionally, many younger people are drawn to the state for the educational opportunities, and they stay because they like the small town feel that they get from even the larger cities. People who are at the end of their careers and thinking about retiring also find Montana attractive as it is home to several different living options and gorgeous scenery. During the Great Recession & recovery period Montana had a more gradual fall than most states in the United States, and it has since recovered nicely. The end of 2007 was one of the first times the housing market showed that it was in trouble as it went into a more gradual rise. The market hit its highest peak during the first quarter of 2008, and it then went into a gradual fall until the third quarter of 2008. It then rose into another peak in the first quarter of 2009, and this peak fell away into a gradual descent. This descent continued until the second quarter of 2010 when the market went into another slight peak only to drop off once again until it hit the lowest point during the second quarter of 2011. Once the market hit its lowest point, it swiftly started on an upward climb that went to a steeper climb in the second quarter of 2012. The third quarter of 2013 brought a slight peak that leveled off until the second quarter of 2014 when it began to go into a gradual peak. This peak ended in the first quarter of 2015, and it resumed it's more rapid climb. The third quarter of 2015 and the third quarter of 2016 brought other slight peaks, but the market is continuing to climb rapidly. Montana's real estate market has been higher than it was before the housing market collapse since the fourth quarter of 2014. Billings had a different real estate trend. It had two large peaks before it crashed, and the first signs of trouble for the real estate market were during the first peak in 2008. This peak dropped off quickly, only to rise into another peak during the fourth quarter of 2008. Once this peak passed, the market went into a gradual fall until it rose into another sharp peak during the fourth quarter of 2010. This peak gave way, and the market fell sharply again until it hit the lowest point during the first quarter of 2011. From this low point, the market rose into a slight peak during the third quarter of 2011, and this peak gradually leveled off. The housing market gradually began to climb, and it hits its first in a series of small peaks during the third quarter of 2013. This peak fell away and rose again into another peak in the first quarter of 2014. This pattern repeated itself in the third quarter of 2013, the second quarter of 2015, the fourth quarter of 2015, and the fourth quarter of 2016. The market had one more slight drop, but it's currently on an upward trend. The market has been higher than it was before the housing market collapsed since the fourth quarter of 2012. Both the state of Montana as a whole and Billings had similar historic real estate trends. The 1990s saw the real estate market hit a slight peak that dropped off until the first quarter of 1991. Once this quarter came, the housing market was off and climbing at a steady pace. This pace continued until the market experienced a gradual rise that peaked slightly during the third quarter of 1994. The housing market continued this gradual rise until it peaked slightly during the fourth quarter of 1997. This peak leveled out again and the third quarter of 1999 brought a very slight peak. Once this peak was over, the market began to climb at a more rapid pace into the 2000s. The first quarter of 2003 brought a slight change in the housing market's upward trend, and it slowed down. This slower climb continued until the third quarter of 2006 when the housing market slowed down further. This was the first signs that the housing market was in trouble, and it continued until the first peak of the housing market collapse. Ownership in the state runs above the national average, as over the last 33 years Montana homeownership has ranged between 64.4% and 72.4%. The low during this period was put in during 1986, from which the market climbed to a high of 72.4% in 2004. By 2007 ownership had fallen to 67.3% before climbing back to 70.7% in 2009. In the years since then the general trend has been downward, with a low of 66.4% in 2015. In 2016 ownership across the state stood at 67.1% compared with a national average of 63.4%. 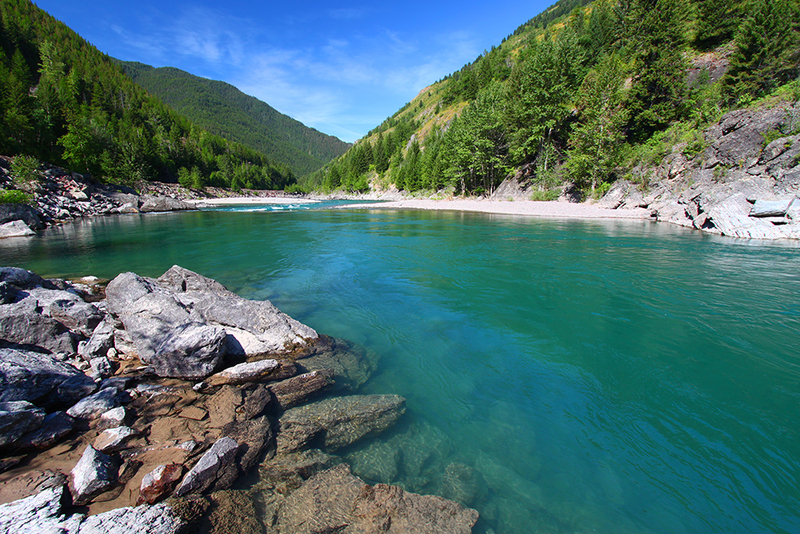 If you are looking for scenic mountain ranges and crystal clear lakes, look into home ownership in Montana. Relaxed living, unparalleled natural surroundings, and lots of elbow room are just some of the amenities the Big Sky state has to offer. Real estate marketing experts have dubbed Montana "The Last Best Place," touting the unspoiled natural environment and plentiful open spaces. The state has experienced a healthy influx of new residents over the past decade or two, with people relocating from other parts of the country in search of a simpler life and outdoor recreation opportunities. Each of Montana’s well-spaced cities offers unique features for residents and visitors alike. Montana is a large state, and it has a few large cities. However, these cities are smaller when you compare them to a lot of other large cities in other states. They're very diverse, and they're thriving. Billings is the largest city in the state of Montana, and it has a population of 110,323 people, and it is the seat of Yellowstone County. This city is located east of the continental divide--the Rocky Mountain range-- and had the fastest growth rate of any city in the state. The larger Billings Metro area has a population of 158,934 people, and it has a trade area that reaches over half of a million people. Billings was founded in March of 1882 as a railroad town, and it earned the nickname of the “Magic City” for its rapid growth rate. Billings economy forms a large distribution and trade center for the state of Montana, and this means that the local economy is diverse. There are many corporate and regional headquarters based here, and as the state has no sales tax, its retail business is booming. It is also right in the middle of natural gas, oil, and coal reserves, and it functions as the main energy center for much of the nation. Billings has been ranked as one of the best cities to start a business, and its downtown sector is thriving. Residents of this state experience a semi-arid continental climate with very warm, dry summers and very dry, cool winter months. July and August are the hottest months of the year with temperatures soaring to the high nineties. The winter months bring over fifty inches of snow, and January brings temperatures around the freezing mark. This city is prone to severe storms in the spring and early summer months with high winds, heavy rainfall, and hail. 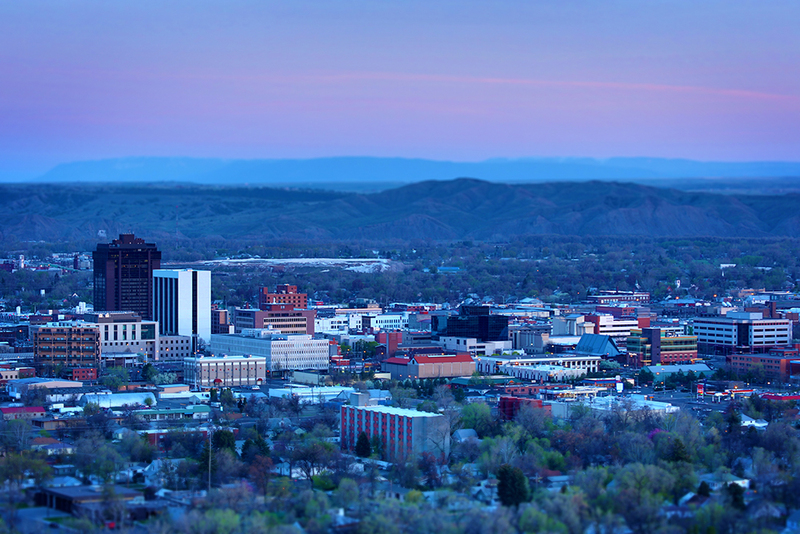 This large city has several cultural attractions, outdoor activities, historic museums, and points of interest that draw hundreds of thousands of tourists to Billings. You can spend the day exploring the Yellowstone Art Museum, or take a walk through the Western Heritage Center. August brings the Magic City Blues Festival, or you can go to the Burn the Point classic car show in September. The Big Sky Comedy Festival is another popular event that draws many visitors. Billings Public Schools is the main school district for this city, and it has over 15,715 enrolled students. There are also several private schools in the city, with a Catholic school district as well. For secondary education, students can attend one of three secondary education institutions. Montana State University Billings is the only public university in the state. There are two private universities in Billings as well including Rocky Mountain College or Yellowstone Baptist College. The biggest employer in Billings comes from the healthcare industry, and the Billings Clinic is a nonprofit organization that has over 3,500 employees. The second largest employer is also from the healthcare sector, and St. Vincent Healthcare has over 1,600 staff members. The third biggest employer in the city is Billings Public Schools, and they have 1,400 staff. Billings has a strong economy, and it has an unemployment rate that is over 1% below the national average. It has also had over 3% of recent job growth, and this can strengthen the local economy as well. Over the coming years, Billings is estimating that it'll add over 40% more jobs to the local economy. The local median home price for Billings is $206,800, and this averages out to around $175 per square foot. These prices have increased over the past year by 2.4%, and they're estimated to increase an additional 1.4% in the coming year. The Billings Metro has a local median home price of $259,000, and this averages out to a price per square foot of $175. The city if Missoula has a population of 72,364 as of the 2016 census. Missoula is located in the Bitterroot Valley in the western part of the state where five mountain ranges converge, and this had led to the nickname of the “Hub of Five Valleys.” In 1860, the Hellgate Trading Post was established on the site that is five miles east of Missoula, and it was moved to Missoula's current location in 1866. Missoula is part of the larger Missoula Metro, and this Metro has a population of 109,299 people. Missoula's economy revolved around the trade industry, and this only expanded with the arrival of the Northern Pacific Railway. The economy expanded into lumber milling, and it has been the region's regional trade center for decades. Education makes up another important piece of the local economy as the city is home to the largest university in the state. The service industry, retail, tourism, and exporting form the other large economic support pillars. Residents in Missoula experience a cool summer humid continental climate. The city experiences hot, dry summer months and cold, snowy winter months. July and August are the hottest months of the year, and temperatures typically stay around the eighties. Due to the city's location to the Rocky Mountains, the winter months are usually milder than the rest of the state, and December has the coolest temperatures in the thirties. The city is considered to be Montana's cultural center, and it is home to an eclectic mix of retirees, college students, loggers, and sports fans. The River City Roots Festival attracts 15,000 people each year for music, beer, and art, and food. The Missoula Community Theatre puts on year-round productions for the residents of this city. The oldest brewery in the state is here, and Bayern Brewing has been open since 1987. There are also several nonprofits in the city including the Rocky Mountain Elk Foundation. The Missoula County Public School has four districts, and it serves the city. There is also religious schools, private schools, and a theater school. For secondary education, the University of Montana dominates the secondary education institution in this city. The Alexander Blewett III School of Law at the University of Montana is also here, and it was the state's first law school. Finally, students can attend the University of Montana College of Technology. Education dominates the economy in this city, and it is reflected in the largest employers. The city's biggest employer is the University of Montana, and it has around 1,200 staff members. The second biggest employer in Missoula is St. Patrick Hospital with 900 staff. Finally, the third biggest employer comes from the education sector, and the Missoula County Public School District has over 800 staff. Missoula's economy is doing very well, and its current unemployment rate is well below the national average. In addition to this, it has also seen recent job growth over the past year over 1%. Missoula is looking to strengthen its economy even more over the next decade as it is estimating that it'll add 40% more jobs. The local median home price is $249,100, and this figure works out to a price per square foot of $224. These prices have risen over the past year by 6.2%, and they're on track to go up another 1.3% in the coming year. The Missoula Metro has a local median home price of $311,500, and this works out to a price per square foot of $218. 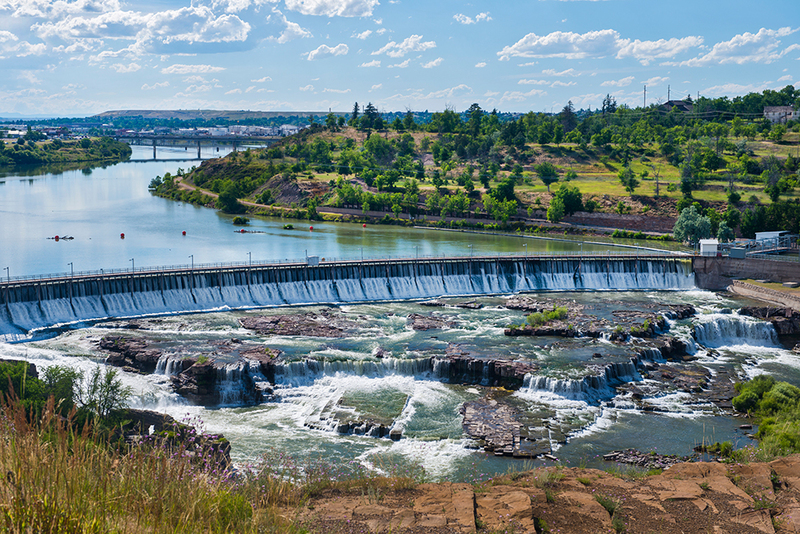 The city that claims the spot for the third largest city in Montana is the city of Great Falls with a population of 59,178 people. From 1950 to 1970, Great Falls Montana's largest city. Located on the banks of the Missouri river, the city was named after five waterfalls that are in close proximity to the upper Missouri River basin. The Great Falls Metro has a population of 81,327 people as of 2016. The military has a very large influence on the local economy and the largest missile complex in the Western Hemisphere, and it has an area of 23,000 miles. The transportation and education industries also play large parts in supporting the local economy, as well as retail, healthcare, and small businesses. Great Falls has a cold semi-arid climate that has very cold, snowy winter months and very hot, dry summer months. July and August are the driest and hottest summer months with temperatures in the high nineties. December and January are the coldest and snowiest months with temperatures in the thirties. The spring months bring thunderstorms that can be severe. The Great Falls Symphony puts on several concerts and events throughout the year for the residents of Great Falls. The Four Seasons Arena is an indoor sports and exhibition center that hosts various music events, sporting events, and art exhibits. The Sip ‘n Dip Lounge is another popular tourist attraction, and it has been ranked as one of the top ten bars in the world. The Great Falls Public Schools system serves this city, and it has over twenty schools that range from elementary to high schools. Students can attend the public two-year Great Falls College Montana State University. Students can also attend to choose the private, religious campus of the University of Providence. The government and education are the two largest economic influences on this city, and the biggest employer is Great Falls Public Schools with 2,050 employees. The second biggest employer is from the government sector, and the Montana Air National Guard has 1,030 employees. Finally, the third largest employer in the city is the City of Great Falls with 600 staff. Great Falls has a strong economy, and it has an unemployment rate that is over 1% below the national average. It has also had over 1% of recent job growth over the past year, and this can work to strengthen the economy further. In the coming decade, the city is estimated to add 38% more jobs. The local median home price in Great Falls is $162,400, and the price per square foot is around $153. These prices have gone up by 3.3% in the past year, and they're estimated to go up another 3.9% in the coming year. The Great Falls Metro has a local median home price of $194,000. Bozeman is the fourth biggest city in the state with a population of 45,250 residents. It was named after John Bozeman, and he founded the city as well as established the Bozeman trail in 1883. Bozeman is also part of the Bozeman Metro, and it has a combined population of 89,513 people. 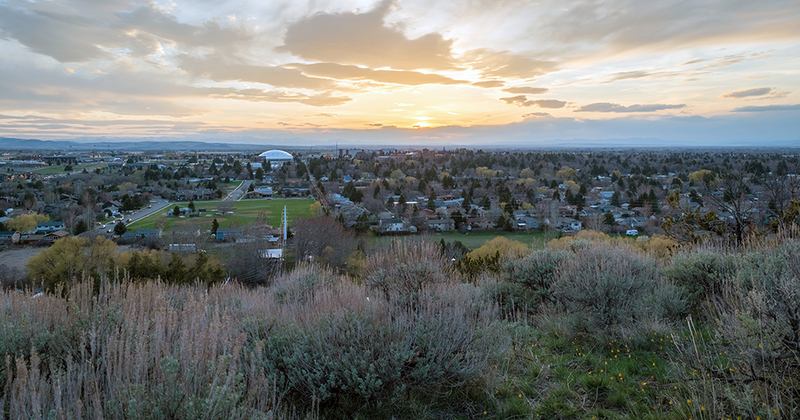 Situated in the heart of the Gallatin Valley, the city attracts residents and tourist alike with its spectacular scenery and outdoor recreational opportunities. The economy is supported by the healthcare, education & tourism fields. The economy is very strong in this city, and it has an unemployment rate that is over 2% below the national average. It has also seen job growth over the past year of almost 5%. This job growth has worked to strengthen the economy further, and it is projected to add 47% more jobs in the next ten years. Bozeman has a cold semi-arid climate with hot summers and cold winters. The spring months bring rainfall and thunderstorms. The hottest month is July with temperatures in the eighties, and the coldest month is January with temperatures in the thirties. The winter also brings large amounts of snowfall. The Bozeman Public Schools District has eleven schools, and it also has one alternative school system. 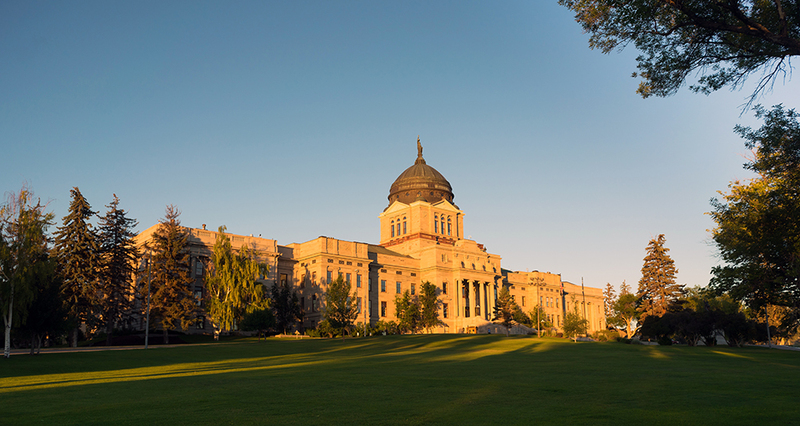 There is also private schools in the city, and for secondary education students can attend Montana State University. The biggest employer in the city is Bozeman Health with 2,000 employees. 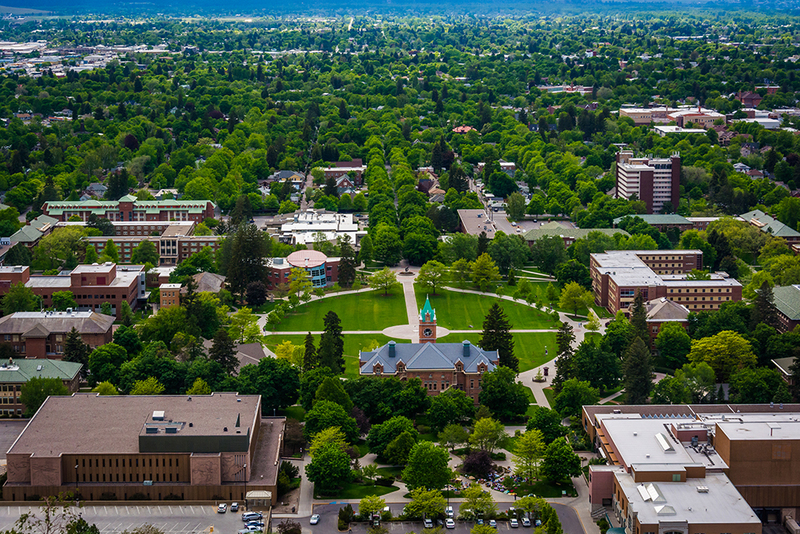 The second biggest employer is the University of Montana – Bozeman with over 1,200 staff members. Finally, the third biggest employer is the Bozeman Public Schools District with 900 staff members. Bozeman has a local median home price of $320,100, and this averages out to a price per square foot of $225. These prices have gone up by 2.1% in the past year, and they're projected to rise another 3.5% in the coming year. The Bozeman Metro has a local median home price of $429,925, and this averages out to a price per square foot of $230. Butte claims the spot for the fifth biggest city in the state with a population of 33,853 people as of the 2016 census. It was originally established as a mining camp, and it has flourished ever since. Butte is part of the Butte Metro area, and this Metro has a population of 34,200 people. The city government is unified with Silver Bow County. A former hard-rock mining town made good, the city is now a popular visitor destination and one of only two U.S. cities to have the designation of a National Historic Landmark. During the 1920s when mining was riding high, the population reached upwards of 60,000. To this day mining and natural resources both play large roles in the local economy, though it has started to gradually shift to the energy sector since the mid-2000s. Butte currently has an unemployment rate that is below the national average, and it has seen recent job growth of over 1% in the past year. Over the coming years, Butte is projected to add 39% more jobs to strengthen the economy further. There are several points of interest and museums located throughout Butte, and they include the Copper King Mansion. Tourists can also visit the Our Lady of the Rockies statue, or take in Evel Knievel Days. This annual event draws over 50,000 people each year. Butte Public Schools has over 1,300 students enrolled, and there are several private and religious schools located throughout the city as well. Students can attend Montana Tech College for their secondary education needs, and this school was ranked as one of the best regional colleges in the northwest. Butte's largest employer comes from the energy industry, and NorthWestern Energy has around 1,100 staff. The second biggest employer is St. James Healthcare with 560 year-round employees. The third biggest employer in the city is Town Pump Gas Station with over 400 employees. The local median home price for Butte is $117,600 with an average price per square foot of $113. These prices have both increased by 5.1%, and they're projected to rise by another 2.3%. The Butte Metro has a local median home price of $149,450. Helena is the sixth biggest employer in Montana, and it is also the state's capital. The city was originally a gold rush settlement that was founded in 1864. The city has elaborate Victorian architecture, and this is attributed to the city's status of the wealthiest city in the nation by the late nineteenth century. Helena is part of the Helena Metro, and it has a combined population of 74,801 people. Helena's economy is doing well. While it does have an unemployment rate that is below the national average, it has lost jobs over the past year. It's projected to add 36% more jobs over the next ten years, and the biggest economic support is the government sector. Education, tourism & military make up other important economic support systems for this city. Helena has a semi-arid climate with hot, dry summers and cold, long winters. The spring and autumn months are very short and dry. July and August see temperatures in the eighties, and December and January see temperatures in the thirties. It isn't unusual to only see moderate amounts of snowfall with very cold temperatures as well. There are over seventeen schools in the Helena School District, and students can choose from two higher education universities. The Helena College – University of Montana is a two-year campus that has over 1,600 students enrolled. Students can also attend Carroll College, which is a Catholic liberal arts college. The Helena School District is the biggest employer in Helena with 1,400 employees. The second biggest employer is the City of Helena, and it has over 1,000 staff members. The third biggest employer is the Helena College – University of Montana with 800 staff. Helena has a local median home price of $279,900, and this works out to a price per square foot of $164. These prices have increased over the past year by 3.5%, and they're projected to go up another 2.4% in the next year. The Helena Metro has a local median home price of $289,000. While some areas of the state, such as the small northwest community of Whitefish and the larger burg of Bozeman enjoy a sizable population of residents in the upper income brackets who own vacation and second or third "trophy" homes, the greater part of Montana's population earns less than the national average and practices common sense when it comes to the purchase of real estate. Montana residents have, for the most part, escaped a significant home foreclosure rate while most of the country has been crippled by foreclosures. With far fewer Montana borrowers obtaining sub-prime and variable interest rate mortgages than residents of other U.S. regions, the Montana real estate industry has managed to remain on a somewhat even keel in a tempestuous national climate. Whitefish: Whitefish is a picturesque community of 7,279 residents located near a popular ski resort which was formerally named Big Mountain, beautiful Whitefish lake, and within a couple hours' drive of Glacier National Park. These attractions make the city a popular tourist destination. Kalispell: Kalispell is a larger nearby neighbor to Whitefish. This town of 22,761 is not only a vibrant community but a crossroads for the hoards of vacationers traveling eastward to Glacier and its majestic Rocky Mountain landscapes each year. According to the United States Census an estimated 1,042,520 people live in the state of Montana. The state has 145,545.8 mi² of land area, which gave it a population density of 7.16 per mi². Here is a list of cities, towns & Census Designated Places with more than 1,000 residents, with their estimated population as of June 2016 & the 2010 United States Census. For Census Designated Places (CDP) where there was no population estimate available for 2016 the 2011-2015 American Community Survey 5-Year Estimates data was used. As of 2019 the conforming loan limit across the United States is set to $484,350, with a ceiling of 150% that amount in areas where median home values are higher. High local affordability makes the $484,350 ceiling apply statewide for single unit homes. Dual unit homes have a limit of $620,200, triple unit homes have a limit of $749,650 & quadruple unit homes have a limit of $931,600. Home buyers who are borrowing more than the above amounts to purchase premium properties will likely need to obtain a jumbo mortgage. Jumbo loans typically have a slightly higher rate of interest than conforming mortgages, though spreads vary based on credit market conditions. Several different types of home loans are available in the Liberty and Independence State. Fixed-rate loans are very common, and the terms include thirty, twenty, fifteen, and ten years. The longer the life of the mortgage, the lower the monthly payment will be, which is why the 30-year loan is the most popular. The downside of this, however, is that the APR is higher compared to shorter-term loans. The difference can be as large as a full percentage point. Your mortgage can begin accruing interest only one day before the lender records the loan, even if it went into effect earlier. As of 2002, Montana's anti-predatory legislation stipulates that lenders cannot charge more than 6 % of the total financed amount in interest discount points and fees. Another provision prohibits mortgage companies from providing loans for amounts which are more than a borrower can reasonably pay. A state law sets the limits on the amount of interest a lender can charge, often called a "usury limit." The legal interest limit in Montana is 10 %. This rate is about average among the 50 states, with Wisconsin, Michigan, Illinois and Delaware setting the country's lowest legal interest rate of 5 %. The highest legal limit of 15% is shared by New Mexico and South Dakota. In addition to conventional 30-year and 15-year fixed-rate mortgages, lenders offer a wide variety of adjustable rate mortgages (ARM’s). While these instruments have lost some of their attractiveness during the recession, there are still circumstances where they offer the only way for a borrower to qualify. Properly structured (that is, with strict limits on how much the rate can fluctuate), such loans are still a legitimate way for borrowers to purchase a home and start building equity while establishing their credit so as to qualify for conventional loans upon the ARM’s expiration. These loans provide interest rates that fluctuate, as the name implies. The APR is usually fixed for an initial term, such as three, five, seven or ten years. Then the rate adjusts depending on the performance of a referenced index rate, usually once per year; but it can change more frequently. The loan agreement may state in detail how frequently the APR can change, and it may also include a rate cap to prevent large changes. If you find a variable interest rate loan attractive, be aware that civil real estate code for the state of Montana regulates the eligible loan amount. People who take out mortgages over a specified dollar amount are guaranteed a fixed mortgage rate by law. USDA loans can help people with low incomes in rural parts of the state qualify for a subsidized low-interest loan. Given the low population density throughout most of the state, most areas qualify outside of the following cities Billings, Bozeman, Great Falls, Helena and Missoula. The Setaside Loan Program is designed to help potential borrowers get funding to help them pay for a down payment on a home. The program wants to encourage home ownership and remove any barriers that may be preventing people from purchasing a home. Applicants must be below 80% of the area median income. Any applicants must also have the proper paperwork uploaded, and this includes a Sponsor Letter in order to get a lower interest rate. The applicant has several different mortgage options they can choose from, and they have to make sure they go to a participating lender. Applicants must also complete a Home Buyer Education Course, and have the Borrower Stat Sheet filled out. For Montana residents who have served or are serving in the military, the Montana Veterans Home Loan Program is designed to help them get a lower interest rate and an affordable home loan. The funding for this program comes from the Montana Coal Tax Trust Fund. The program offers a 30-year first mortgage with a maximum funding cap of $241,119. There are no income limits, and the monthly payments include both mortgage insurance and taxes. The applicant must put a minimum of $2,500 toward a down payment or toward closing costs, and they must maintain the property as their primary residence. The program has people who will periodically monitor the property to ensure all of the requirements are being met. The Montana Board of Housing website lists other programs including downpayment assistance and assistance programs for the disabled. Some cities also offer local funding programs worth exploring. For example, Great Falls offers a number of housing rehab programs. The eastern half of Montana has a very low to low earthquake risk. The western half of the state has a moderate to very high earthquake risk. Here are county-by-county risk profiles for counties with a risk profile above very low. Homeowner's insurance policies typically do not cover flooding. Most of the state of Montana is considered to have a very low flooding risk. The following counties have a low flooding risk: Gallatin, Missoula & Ravalli. Cascade & Flathead counties have a moderate flooding risk. Hail damage is common across the eastern half of the state. Damage from hail is typically covered by home insurance policies. Montana charges a below average property tax rate. In 2016 the median Montana assessment was 0.8% versus a national average assessment of 1.24%. On average, the state collects $1,465 per year on a property that is valued at $176,300. This works out to around 2.79% of the property owner's annual income. These rates fluctuate by county, and Missoula County collects the highest property tax rate in the state at $2,176 per property. Wibaux County currently collects the lowest property tax rates at $505 per year. The median single-family home across the state was valued at $242,342, yielding an annual assessment of $1,950. Montana is a state with a generous Homestead Exemption Act, and this act was put into place to protect homeowners from losing their entire property in the event of an unexpected medical emergency, bankruptcy, disability, or death. Under this act, the property owner can claim up to $100,000 as a Homestead. Once they do this, any property they've claimed under the $100,000 is safe from creditors, and they can't use it to satisfy the homeowner's debt. Lenders in the state can issue a purchase loan in the form of a deed of trust or a conventional mortgage. A deed of trust is a version of a mortgage which provides for the transfer of a land title to a trustee--normally a title company--which holds the deed as loan security. Once the loan is paid, the trustee transfers the title to the borrower. Should the borrower default on payment during the life of the loan, the trustee can sell the property to repay the lender. Most mortgages in Montana are Deeds of Trust, and this sets the state apart. Montana is a state that practices both judicial and nonjudicial foreclosures. Many mortgage lenders choose to go through the judicial process, and the mortgage lender isn't allowed to sue the borrower for a deficiency unless the foreclosure process was judicial. The mortgage was on a Deed of Trust property that went through a nonjudicial foreclosure. The mortgage was on a Deed of Trust property that went through a judicial foreclosure and the property that secured the mortgage was a single-family property that the borrower occupies as a primary residence. Montana is one of the mortgage "walk away" states, which means that once the trustee sale of your property is complete, you have no further obligation to pay any remaining balance on your loan. The state's non-recourse (walk away) law applies only if the foreclosure is accomplished via trustee sale; if the courts become involved, you are liable for lender recourse if the sale of your property does not satisfy your loan balance and applicable fees. Check out the following resources to learn more about the Montana real estate market.